Nexus 9 is thin tablet with high performance, Bright display which runs latest version of Android. 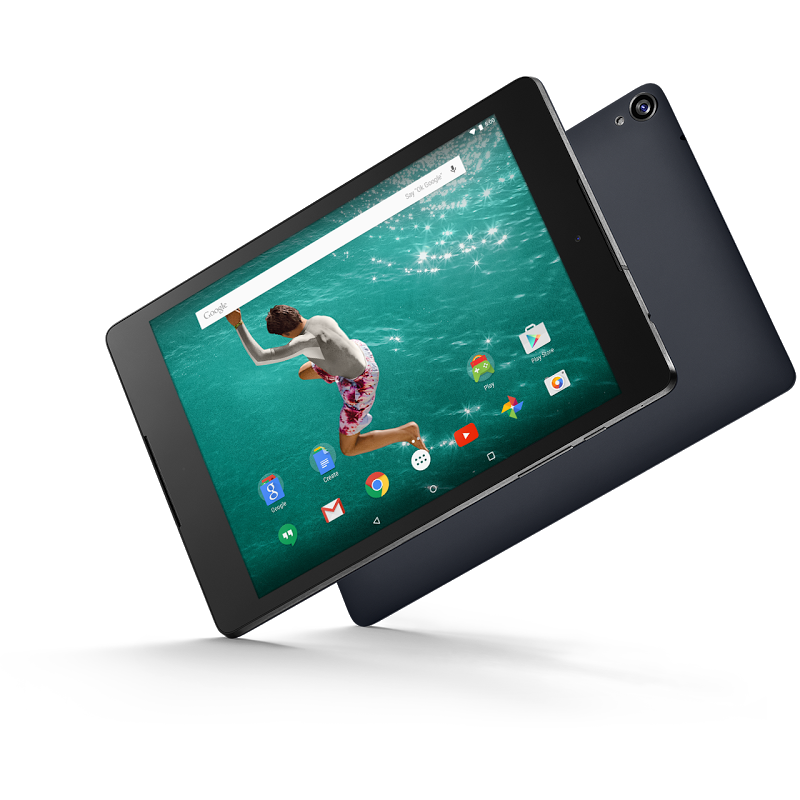 Nexus 9 is the Best Android Tablet available in market. If you are looking for performance like iPad and excellent picture quality Nexus 9 is your best bet. its 8.9-inch IPS screen with 2048 X 1536 resolution which is great to watch movies and play games. Measuring 9 x 6 x 0.31 inches nexus 9 is compact than any leading tablet available in the market. Battery lasts for 9 hours, Performance is awesome with 2.3-GHz 64-bit Nvidia Tegra K1 Dual Denver CPU which most advanced CPU available today at the market. Camera is 8 pixel which is like any other tablet in the market. Nothing great but good for tablet photography. Summary : Nexus 9 is the best android tablet available.Android 5.0 Lollipop runs great, Material Design, Good Bench mark. Only draw being speakers.